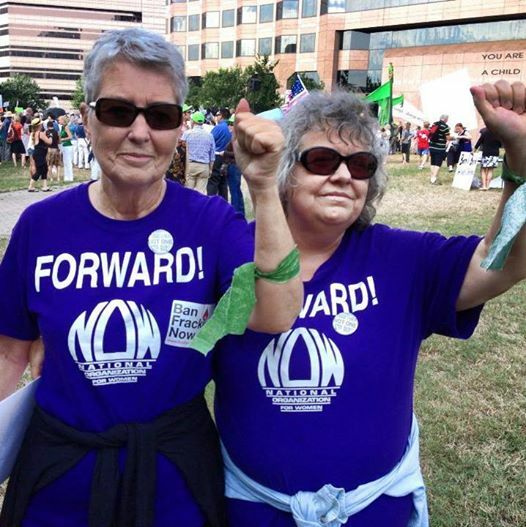 The shirt is really a deeper purple than this in color, but I love the picture below of Fayetteville NOW member Judy Lowe and Debbie Liebers before they got arrested at one of the Moral Monday rallies in 2014. Get your t-shirt now, and wear it to the next NOW event! This entry was posted in empowerment, t-shirt, women and tagged activism, empowerment, t-shirt, women. Bookmark the permalink.